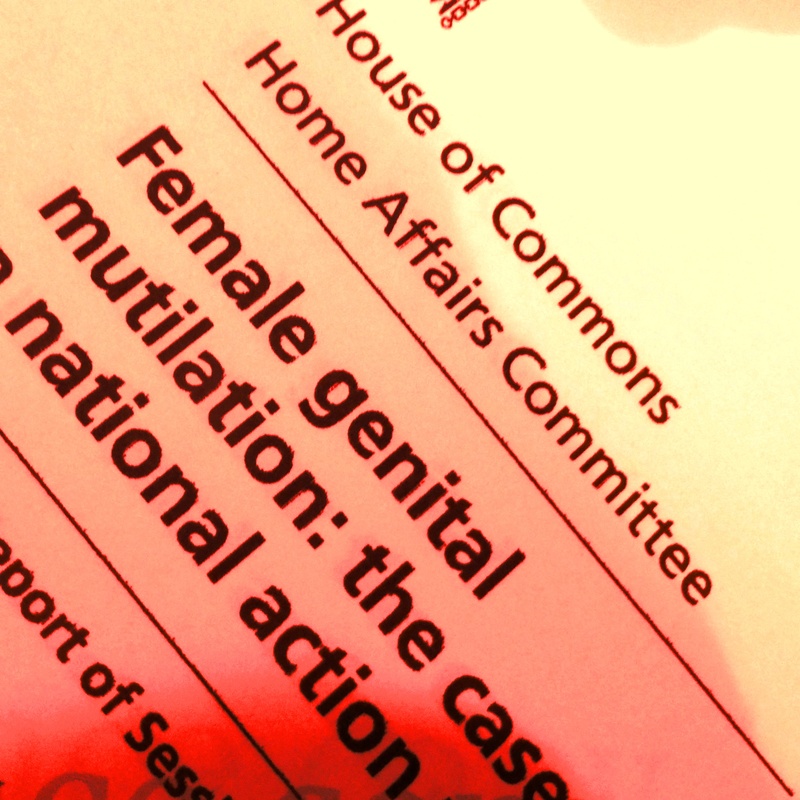 The House of Commons Home Affairs Committee has (3 July 2014) published its report on Female Genital Mutilation: the case for a national action plan. I made a submission to their Inquiry, my views shared largely also by others. The Committee, chaired by Keith Vaz MP, reflects much of what many of us proposed – compulsory PSHE, proper training for concerned practitioners, more support for community activists – but fails to grasp the nettle on finance, mandatory reporting, or the economic costs of FGM. There’s no doubt British politics has travelled a long way from when the Coalition came to power. In March 2011 Equalities Minister Lynne Featherstone MP abolished the only national FGM coordinator post in government, created by the previous Labour administration. Now, as International Development Minister, Ms Featherstone aims to ‘end FGM in a decade‘. The British Government’s FGM agenda has moved on, as activists globally and domestically have campaigned relentlessly for action to eradicate what the Home Affairs Committee (Vaz) Report tells us, even on conservative estimates, is probably ‘one of the most prevalent forms of severe child abuse in the UK‘ [para 14]. The report fails to insist that mandatory reporting of FGM concerns by professionals and practitioners be implemented as of now . A delay to see how much improvement is made in reporting rates over the next year is proposed, before such legislation is considered. This delay is no doubt triggered by reluctance to accept the statutory route  on the part of some Ministers, the NSPCC (which runs an FGM helpline 0800 028 3550 and, unfortunately, is also a long-time opponent – even though proposed only for practitioners in’ regulated activity‘ – of compulsory or mandated reporting), and various medical professionals who apparently prioritise patient confidentiality above child safeguarding. These objectors claim variously  that mandating would lead to ‘over-reporting’, with resulting overload for child protection services, that it would result in unnecessary focus on historical cases in adult women, and that, as the Government argued in 2013 concerning the same debate in respect of child grooming, it might create a barrier for children who need to seek help. None of these claims is convincingly substantiated, none demonstrates conclusively that current arrangements are adequate, and none refutes the currently dire situation in which virtually no reporting occurs. Earlier in the Report there is acknowledgement of the need to develop clear referral pathways for concerned professionals , and recognition that they need to have confidence they will not suffer any detriment if they report . Currently the pathways for reporting are myriad and brazenly ignored (see the Appendix on reporting in my evidence to the Home Affairs Committee, where these complex pathways and the misplaced claimed confidence Ministers have in them are examined). Simplifying and then clear promotion of these requirements might be thought to provide a compelling case for statutory reporting. Given especially the strength of support for mandatory reporting in most evidence to the Home Affairs Committee FGM Inquiry, a serious question mark hangs over the ‘reasons’ given for resistance. Could it be that the fundamental objection is financial? … that it is recognised mandatory reporting brings with it requirements for fully developed mechanisms to ensure this happens – and indeed also for the Government to accept direct responsibility, even when a few interested parties resist? Although there are numbers of references to the striking inadequacy of current funding for FGM programmes in the UK     there is no indication of what sorts of increase might begin to meet the need. Should there not be a recommendation that attempts be made immediately to identify what levels of funding might make meaningful impacts on the FGM challenge, and some thought given to how this money could be found? … And why is there no serious discussion of the economic drivers of FGM? If girls and women truly believed they could make their own way in British society, without the necessity for marriage at all costs, then the case for abandoning FGM would be much clearer to them and everyone else in their communities. Whilst women seeking asylum for fear of FGM are treated so appallingly (conveniently, the Government doesn’t even record how many asylum cases on these grounds are rejected) and whilst the rhetoric on immigration is so hostile, it is unsurprising – and of course tragic but always nonetheless inexcusable – that harmful traditional practices continue as a way of affirming cohesion in excluded communities. The Home Affairs Committee Report on FGM when all is said and done is a political document ( it is politics which ultimately must address the issues). It had to be written in such a way that consensus could be achieved between politicians from opposite sides of the House. A great deal has been achieved by this Report; it validates almost everything which many of us have been saying for years, and it proposes very constructive ways forward. But the sneaking suspicion remains that, just as way back in 2011, the dead-hand of the Treasury is still in evidence when it comes to direct governmental responsibilities. The human cost of delays to date – many children harmed who need not have been – is acknowledged by Keith Vaz in his press release commentary…. FGM is an ongoing national scandal which is likely to have resulted in the preventable mutilation of thousands of girls to whom the state owed a duty of care …. We need to act immediately. …. but nowhere do we see recognition of the fundamental and needless extra human and, ultimately also fiscal, costs of that March 2011 set-back. Perhaps at some point in the future the true impacts of underfunded public health measures will begin to dawn; but in the meantime foot-dragging in these critical matters will leave more vulnerable children at risk. The Vaz Report is a very valuable addition to our knowledge and policy about FGM in Britain; it moves the FGM agenda on by leaps and bounds. But it could have been even better still. crucially, puts aside Ministerial reservations  to recommend that personal, social and health education (PSHE) must at last become part of the compulsory curriculum, and that all headteachers and child protection officers must have FGM and forced marriage safeguarding training, to be disseminated to staff before the end of 2014 . The recommendation for compulsory PSHE, including information on FGM in high-prevalence areas  is a big breakthrough which, if it happens, will be widely celebrated by everyone with an informed view. There has of course been much on this development in the media. The Guardian report (3 July 2014) carries commentary from a range of informed sources, including Efua Dorkenoo (director of EndFGM), Sir Keir Starmer (former DPP) and Sarah McCulloch (director of ACCMUK). I was disappointed that the report didn’t address the level of resources being dedicated by the police to detect and prosecute FGM against the very high numbers of victims subject to this appalling crime. The police themselves noted 1 in 10 victims actually die from the abuse; it is an extremely serious offence. I also think that far more focus should have been made by the Committee of the duty of care of parents and neglect of the child should this procedure have been carried out. The victims permanently live with the evidence of this crime. Any incidence where a child has been subject to this practice whilst the residence of the parents or legal guardians at the time was covered by FGM legislation could lead to child neglect proceedings. In effect these parents have allowed their child to be illegally mutilated and tortured whilst in their care.